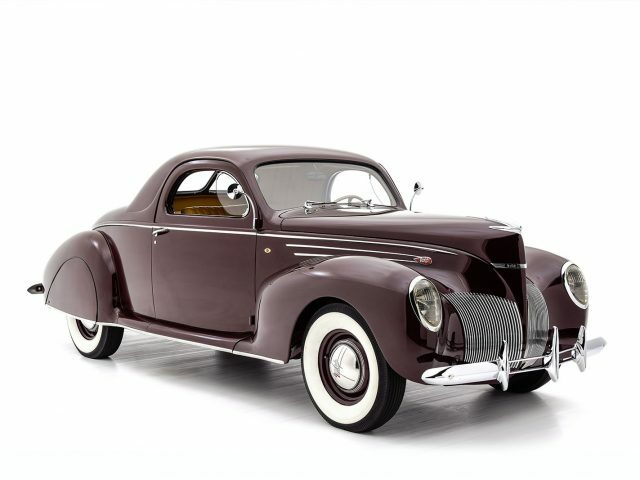 In the early 1930s, Edsel Ford saw a need to fill an ever-widening gap between the top Ford Deluxe models and the ultra-exclusive, coachbuilt twelve-cylinder Lincoln K series. 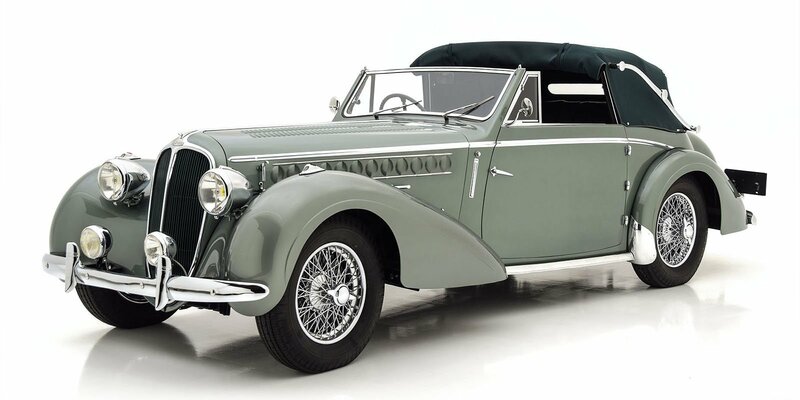 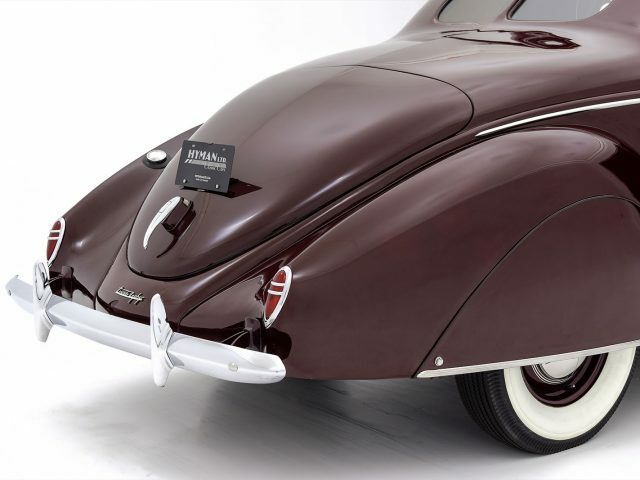 The era of custom coachbuilding was waning, as buyers sought a more affordable “off the shelf” luxury car, and Ford witnessed the success of Cadillac’s junior LaSalle brand. 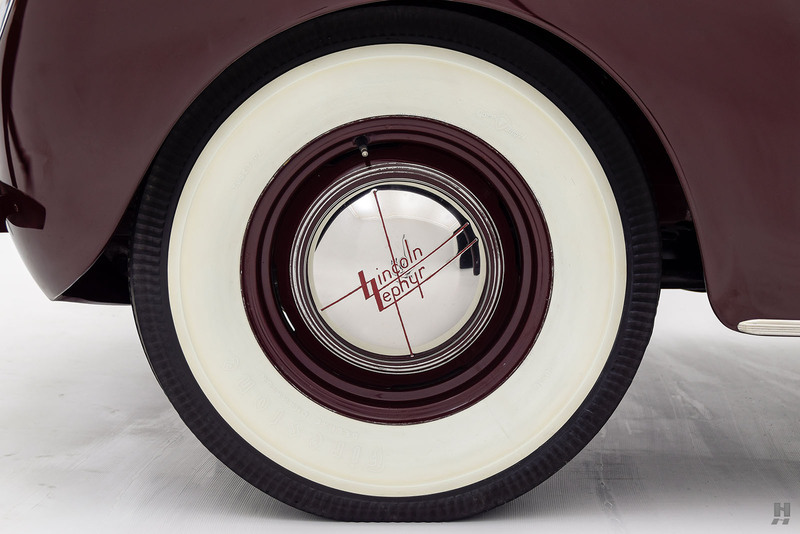 The solution came late in 1935 when Ford Motor Company introduced the all-new Lincoln Zephyr. 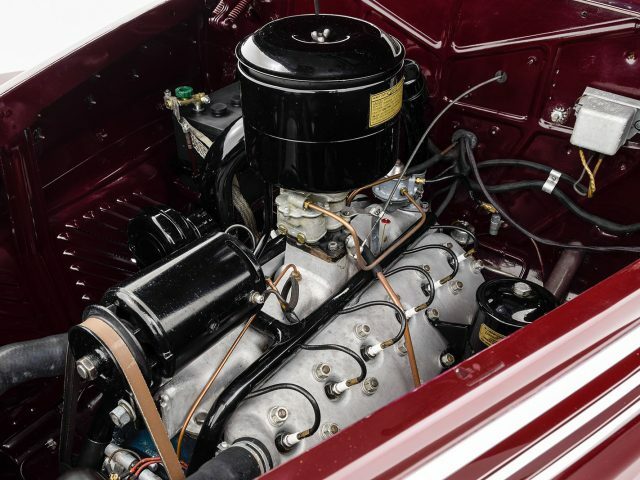 A streamlined, luxuriously appointed production car, the new junior Lincoln was positioned as the style-leader at Ford Motor Company, yet it still offered the prestige of a twelve-cylinder engine. 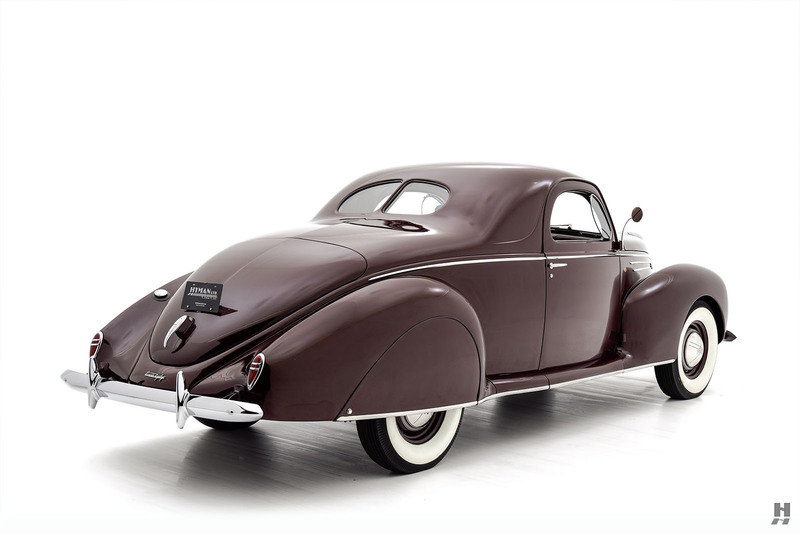 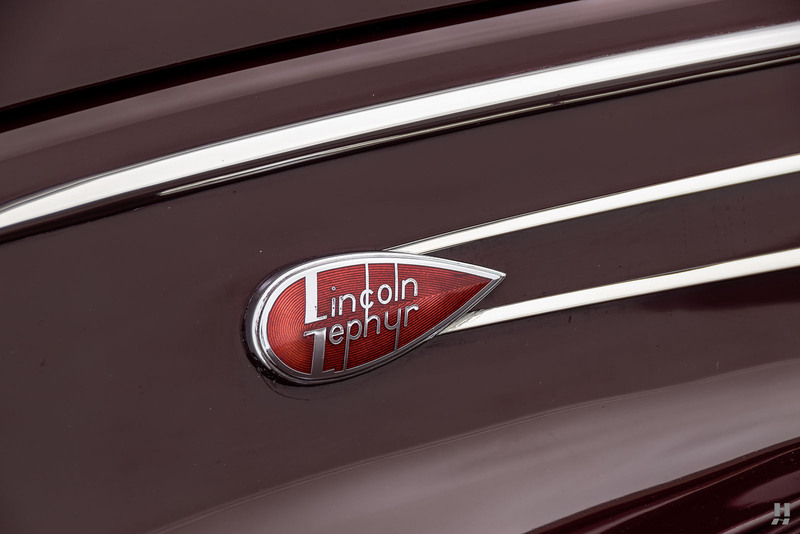 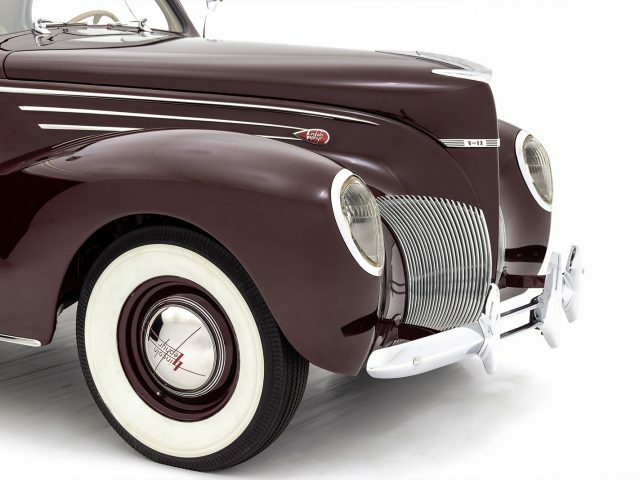 Priced for volume sales, the Zephyr would prove to be the right move for Lincoln, remaining popular with buyers from its introduction through the car’s replacement in 1946. 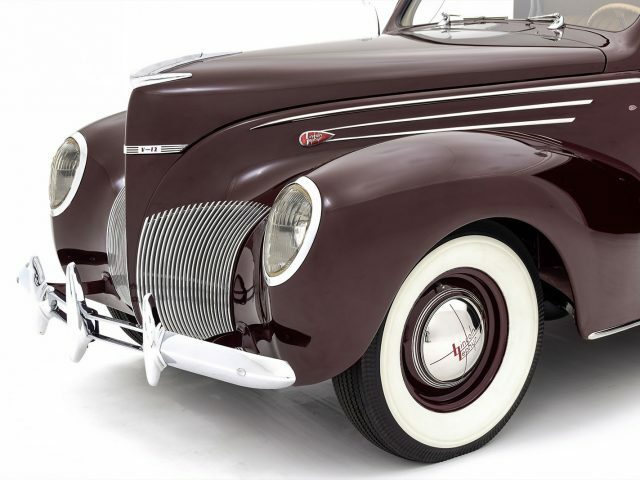 To create the Zephyr, Edsel Ford teamed up with the accomplished stylist Eugene T. “Bob” Gregorie to design the gorgeous streamlined body. 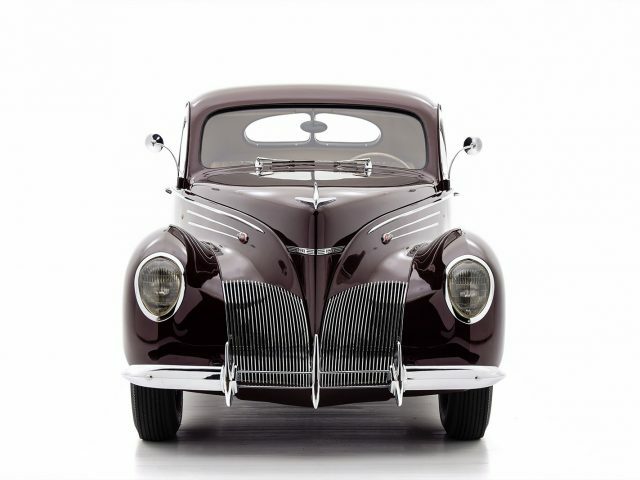 Characterized by its pronounced prow, waterfall-like grilles and pencil-thin chrome detailing, the Zephyr was a masterpiece of Art-Deco industrial design. 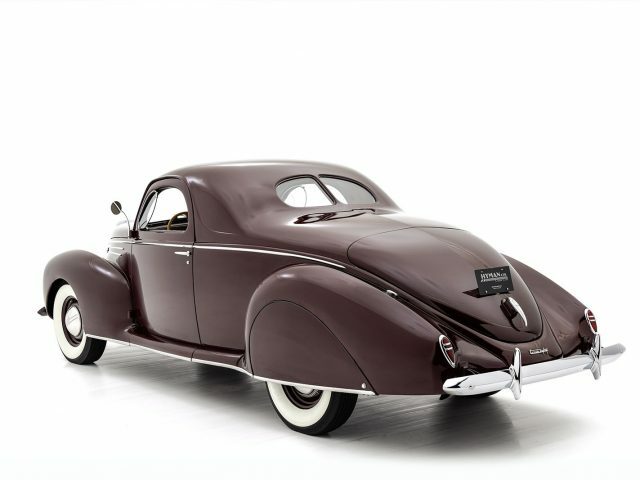 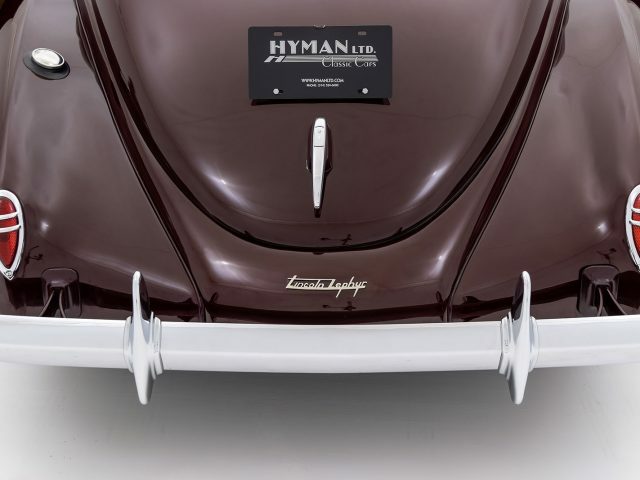 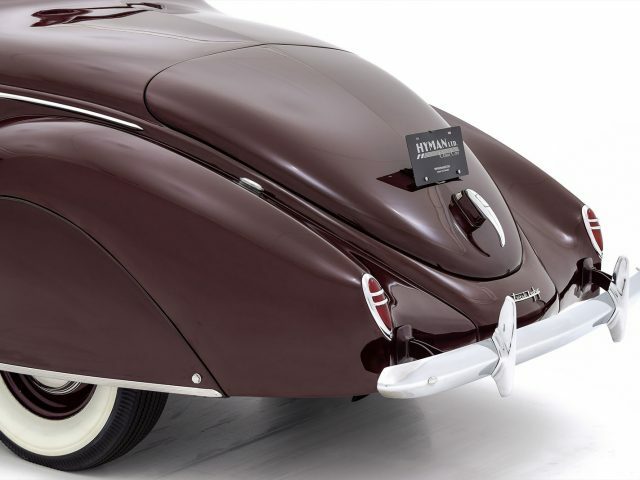 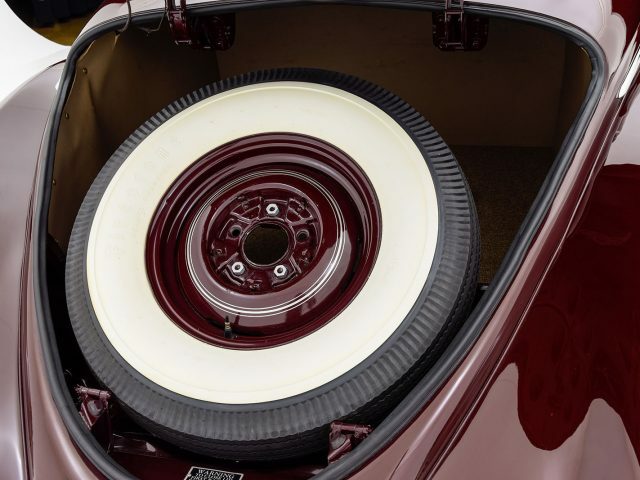 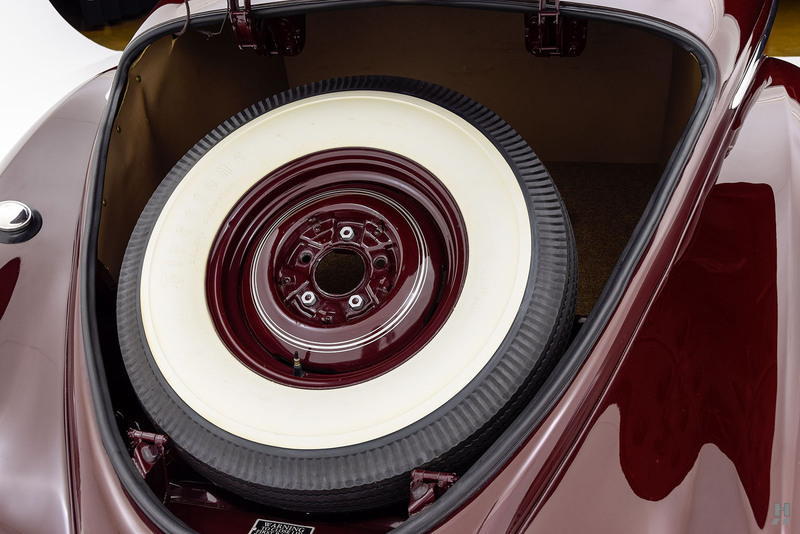 It is also credited as the first commercially successful American streamlined car, particularly when compared to the relative failure of the Chrysler/DeSoto Airflow line. 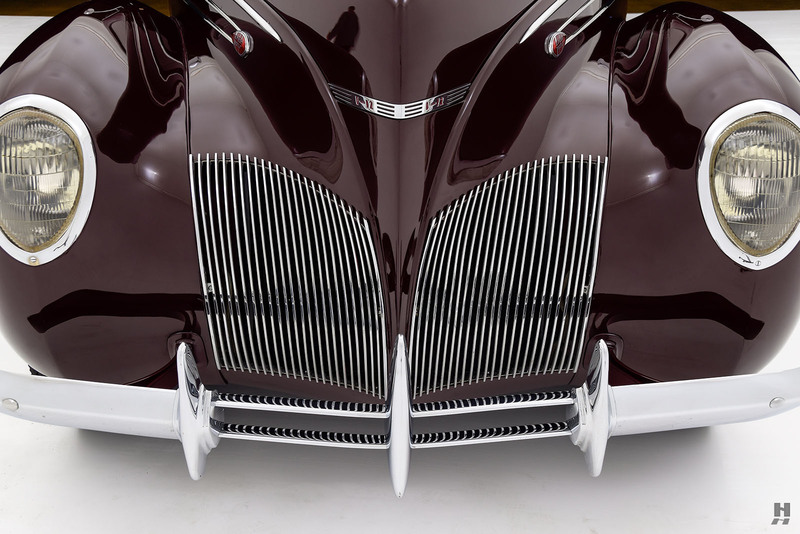 Using advanced techniques designed by the brilliant engineer John Tjaarda, the Zephyr bodies were built in steel by Briggs Manufacturing. 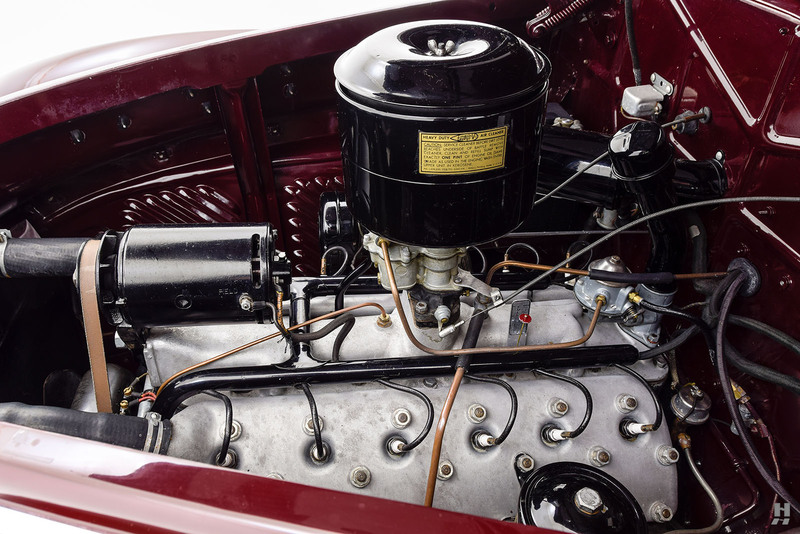 This clever form of manufacturing was a precursor to the modern unibody and allowed for a light yet robust platform. 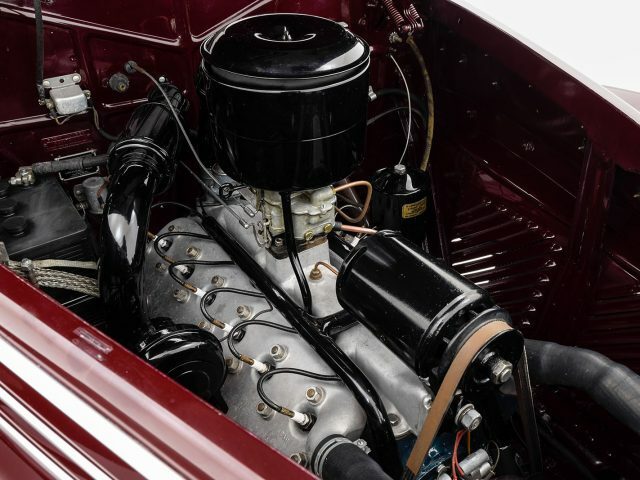 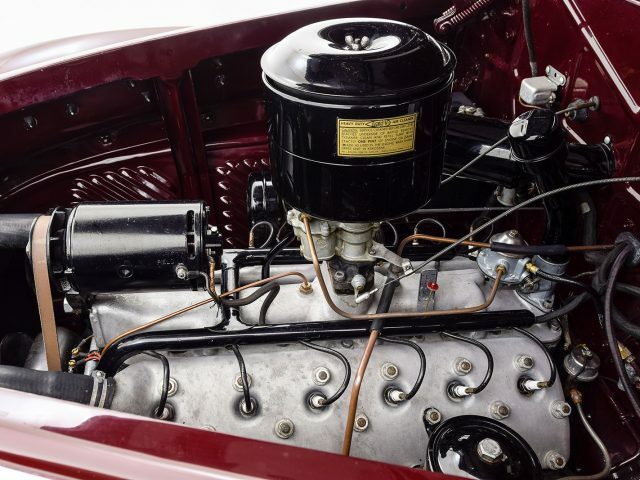 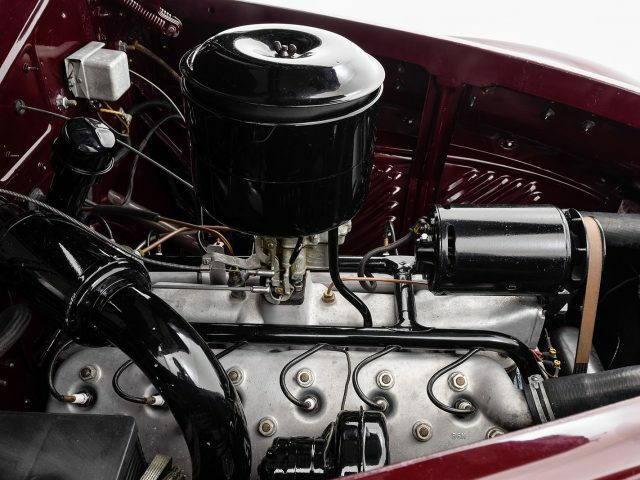 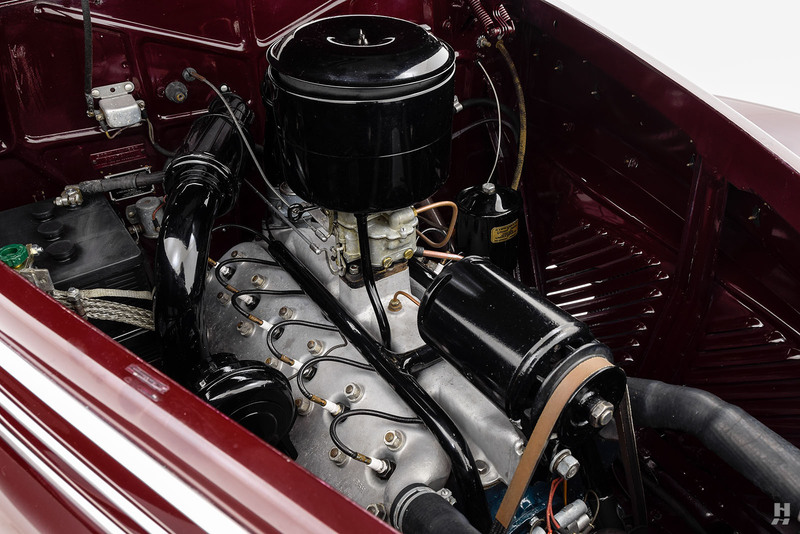 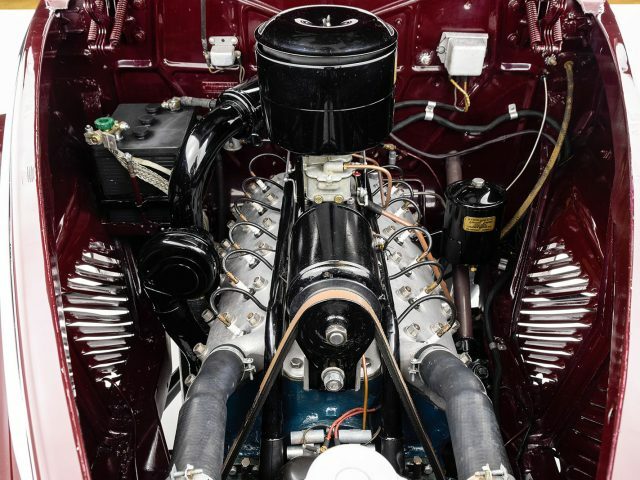 The 70 degree V12 derived from Ford’s venerable Flathead V8 boasted a generous 110hp from 267 cubic inches and delivered its power with turbine-like smoothness. 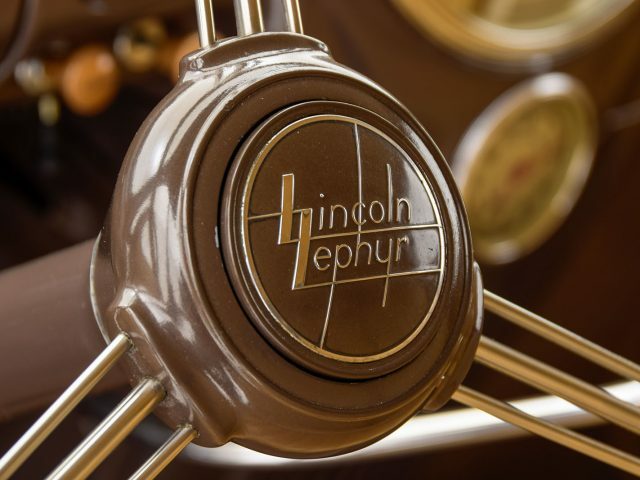 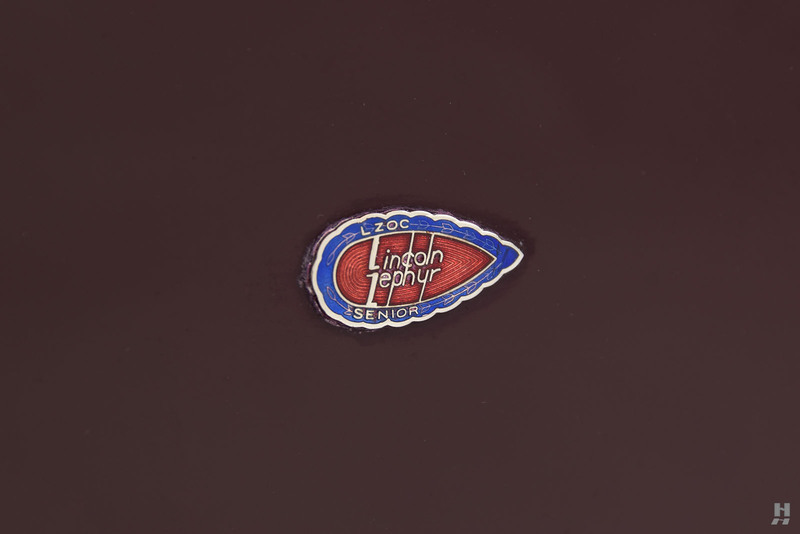 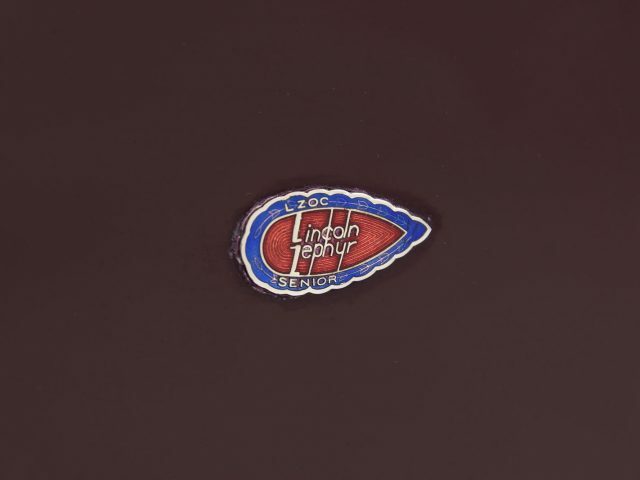 The Zephyr offered buyers outstanding performance and handling for its day, and its success secured Lincoln’s future as a leader in the American luxury car market. 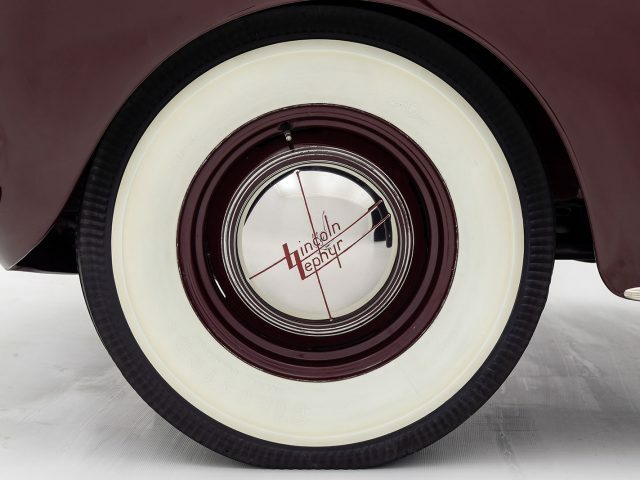 Particularly in 3-window coupe form, the Lincoln Zephyr is seen by many as one of the most beautiful mass-produced American automobiles of all time. 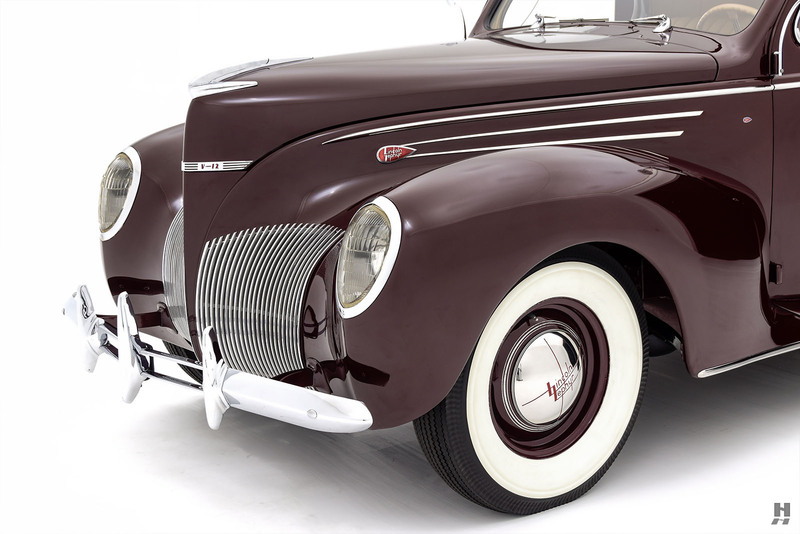 This stunning 1939 Zephyr is a beautiful example of the elegant and highly desirable 3-window coupe. 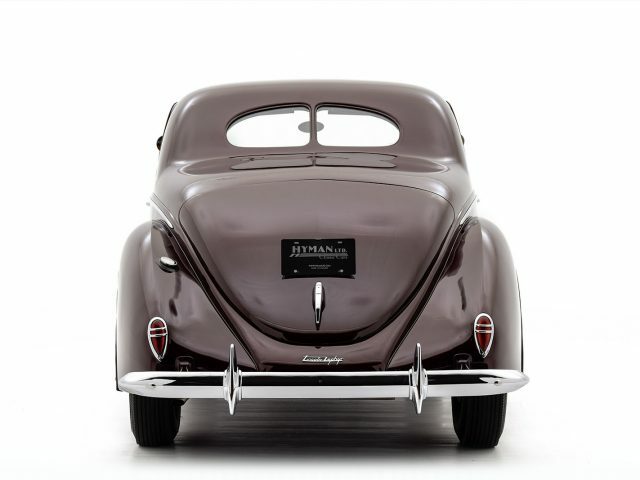 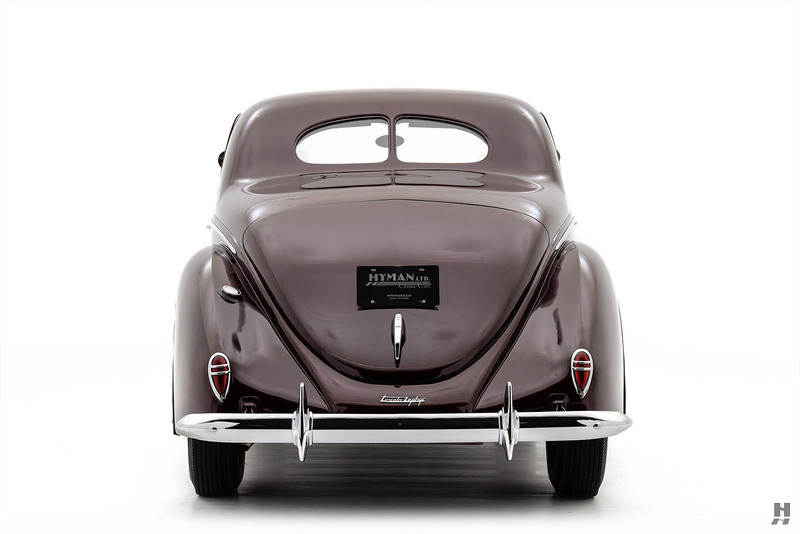 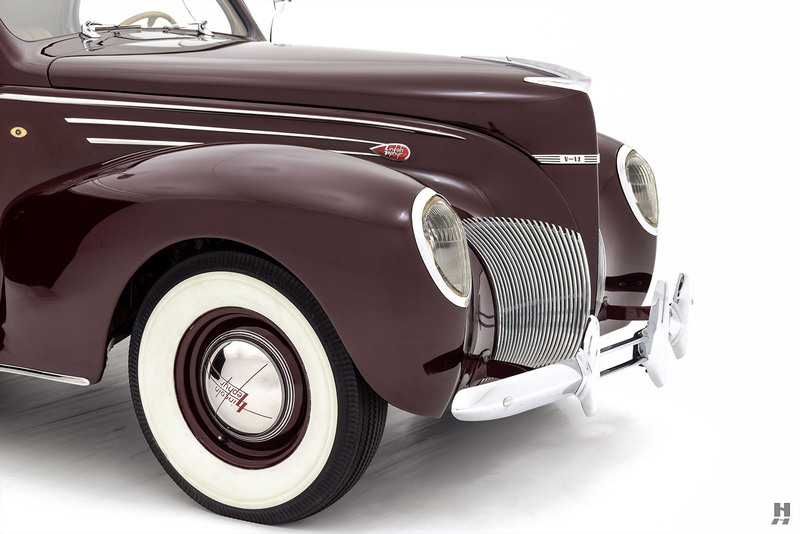 Fully restored to a very high standard, this rare Zephyr is one of just 2,500 of this body style built in 1939. 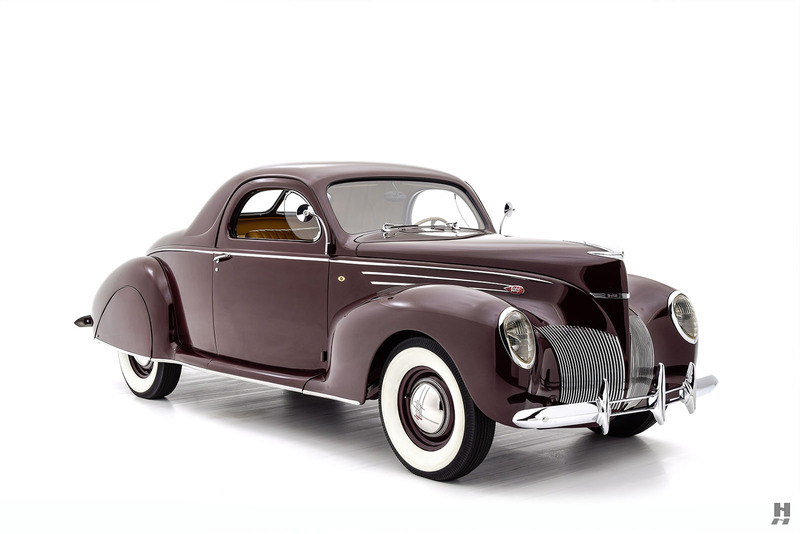 A copy of the build ledger from The Henry Ford shows this car was completed on November 25, 1938, and delivered new via the Fargo regional branch. 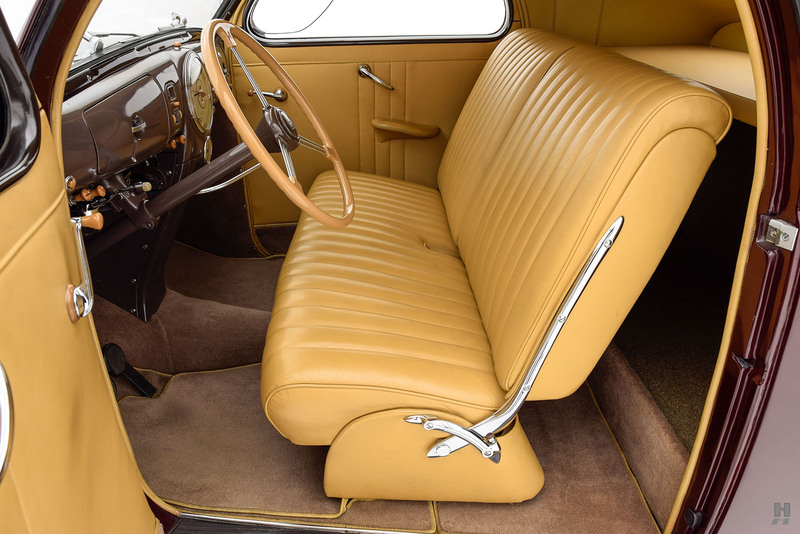 Optional equipment included a radio, heater, defroster, and Columbia two-speed rear axle. 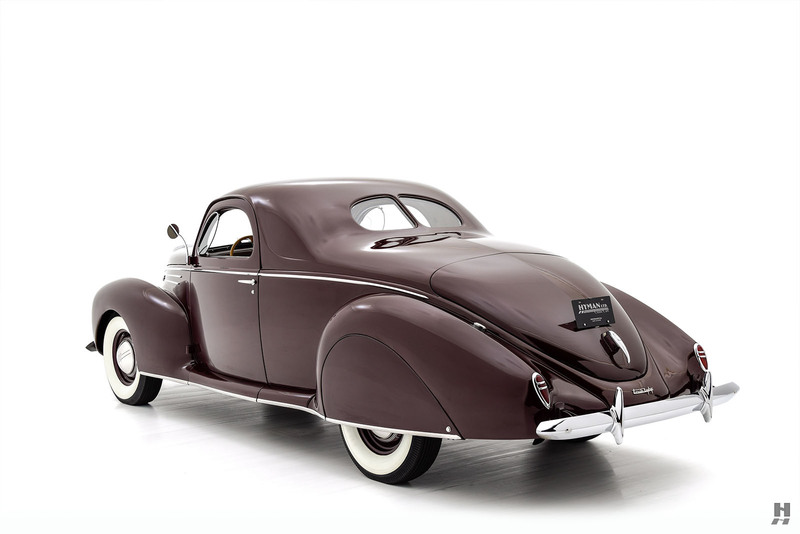 Finished in Coach Maroon (which it wears today), it is believed the Alworth family of Duluth originally purchased this car. 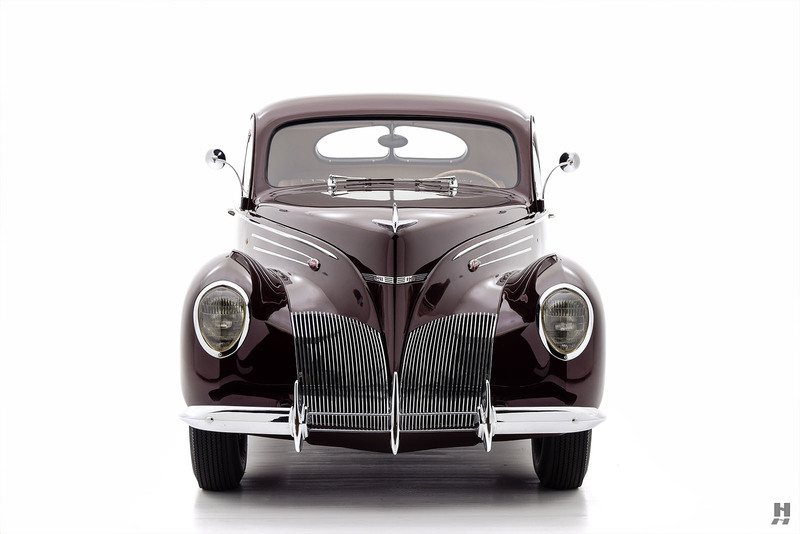 The Alworths were wealthy landowners, developers, and iron ore miners whose interests spanned across Northern Minnesota and Wisconsin. 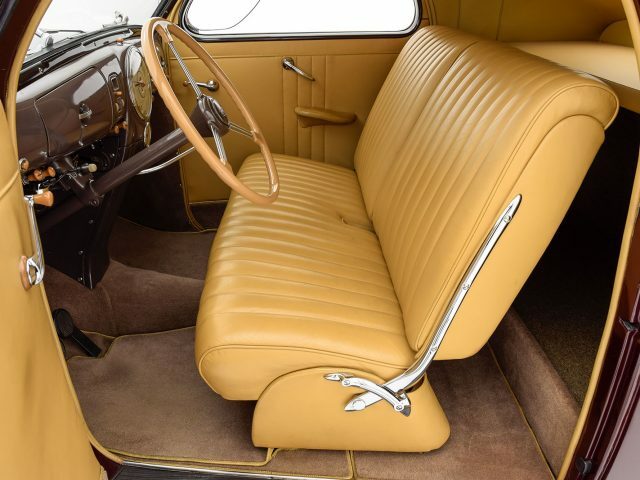 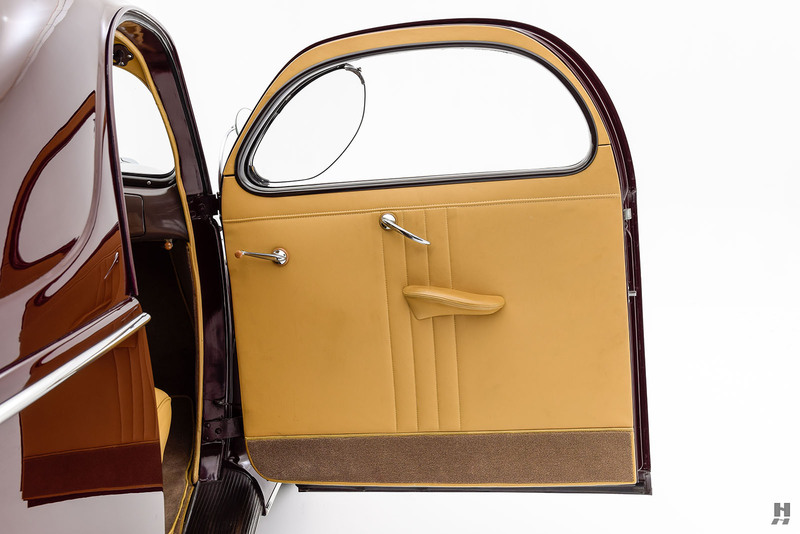 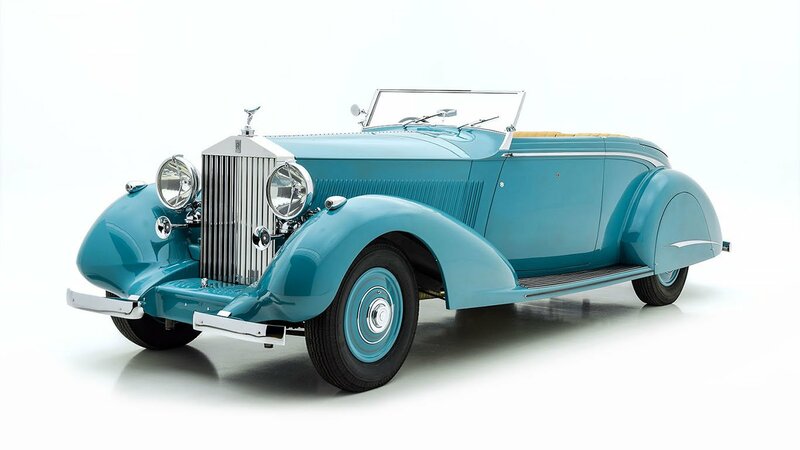 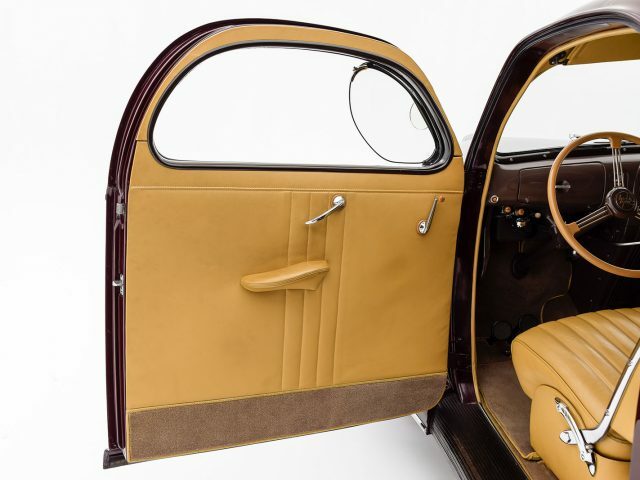 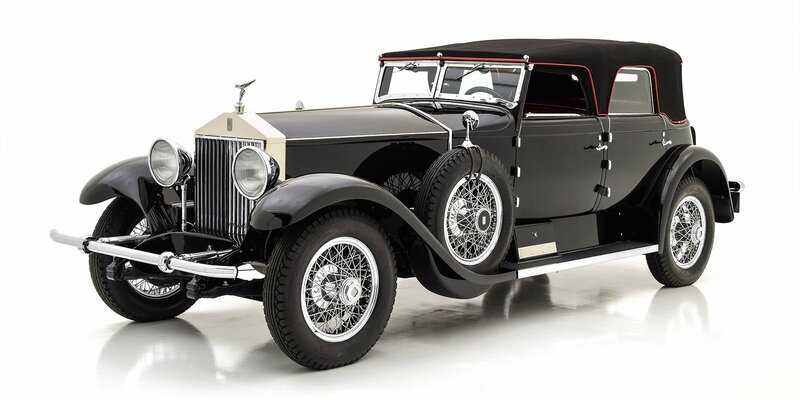 According to information from the previous owner, this car was chauffeur-driven during its time with the Alworths, which is quite unusual considering the 3-window coupe was a sporty “personal” luxury car for the owner-driver. 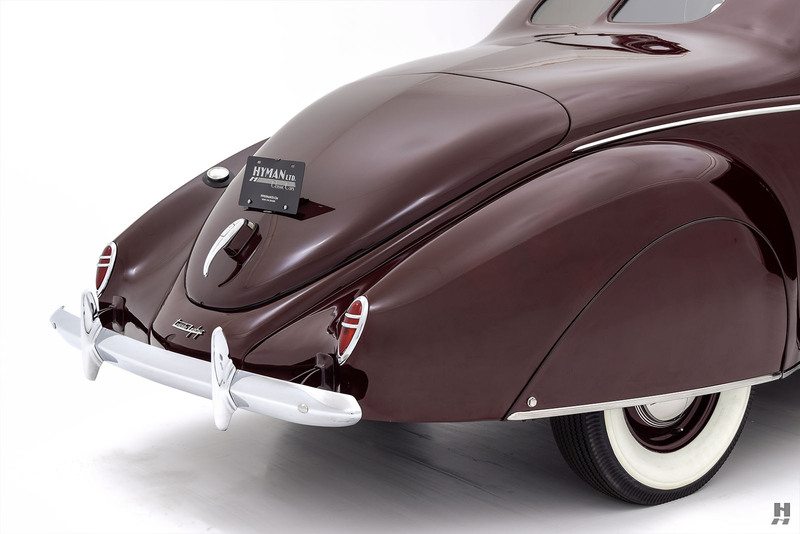 Following a long period with the Alworth Family, the Zephyr was acquired by fellow Minnesotan and avid marque enthusiast Lloyd Pearson. 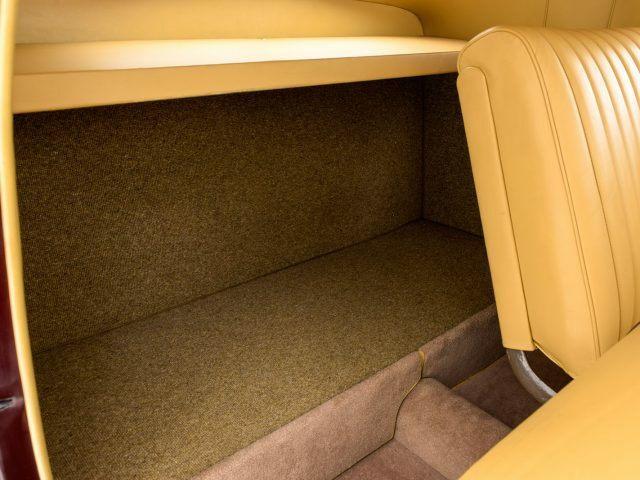 Photos from approximately the 1970s show the Zephyr Coupe in remarkably good condition, presumably thanks to the gentle use it saw while serving the Alworths. 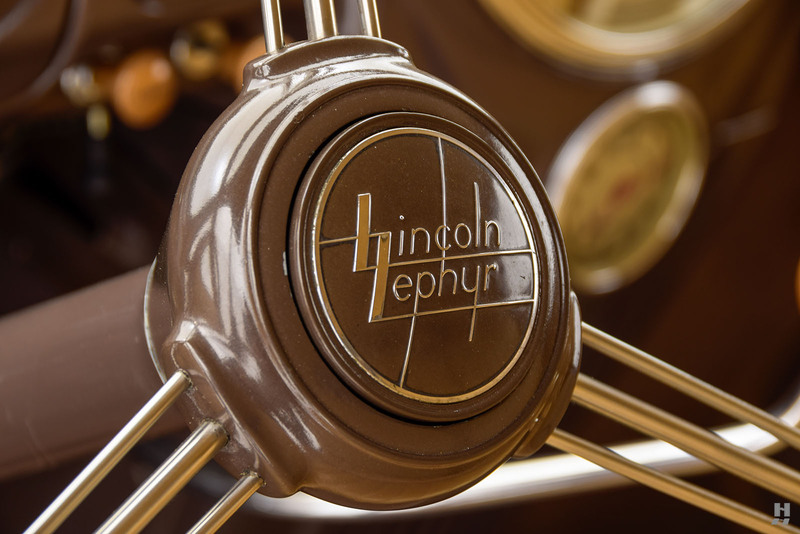 Mr. Pearson is a well-known figure in the Lincoln & Continental Owner’s Club as well as the AACA, having owned and restored several very important Zephyrs and Continentals through the years. 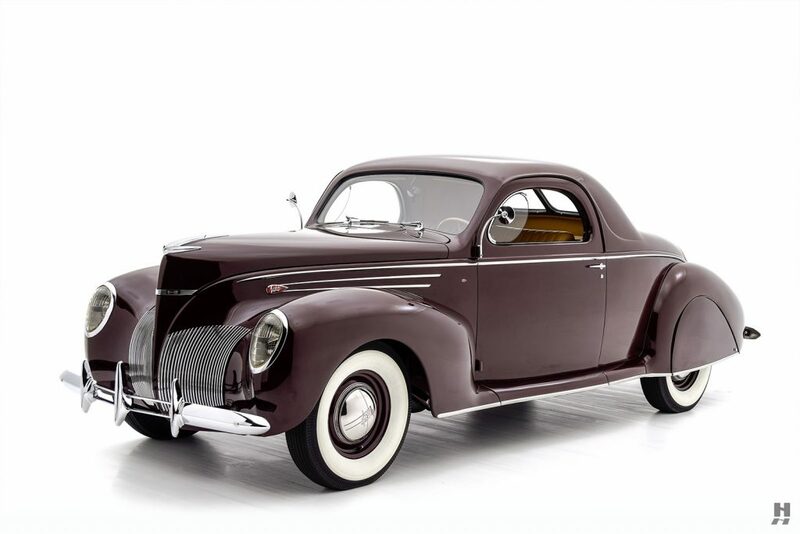 Following a careful restoration in the late 1980s, this Zephyr Coupe was shown extensively in LCOC regional and national events where it racked up numerous awards, including Best in Show at the 1989 Eastern National Meet, as well as receiving the Edsel Ford Trophy in 1992 and again in 1996. 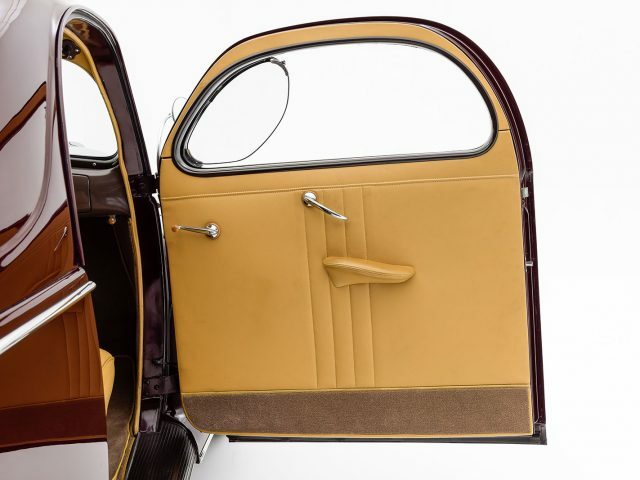 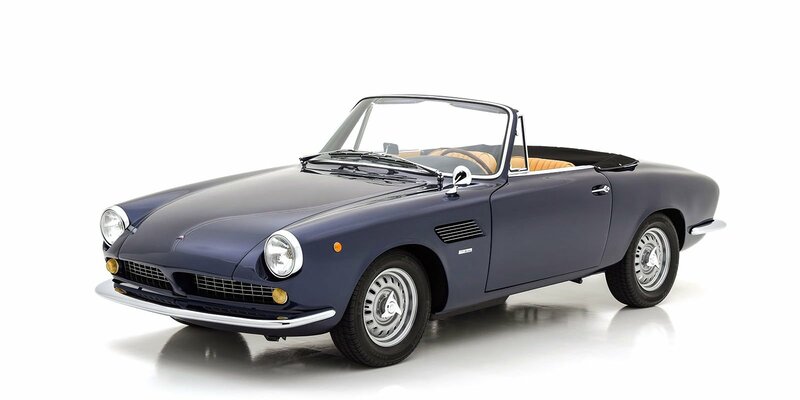 Furthermore, it participated in the prestigious Meadowbrook Concours in 2001. 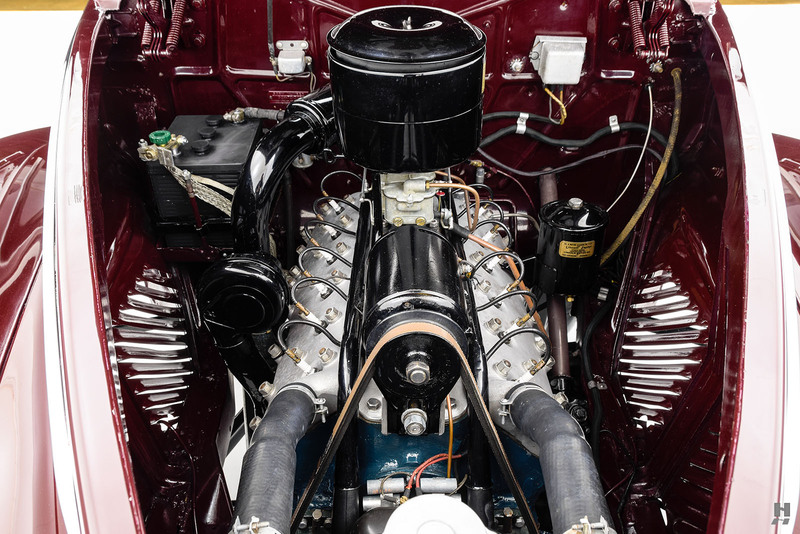 The Pearsons owned their beautiful coupe for many years, selling it in 2013 to the third and most recent owner; a collector of important late pre-war and early post-war American cars. 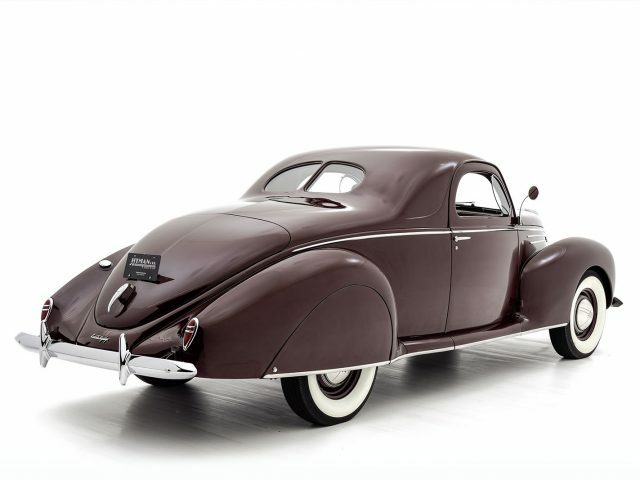 Under his ownership, the Zephyr was expertly maintained in top cosmetic and mechanical condition and regularly used on the road. 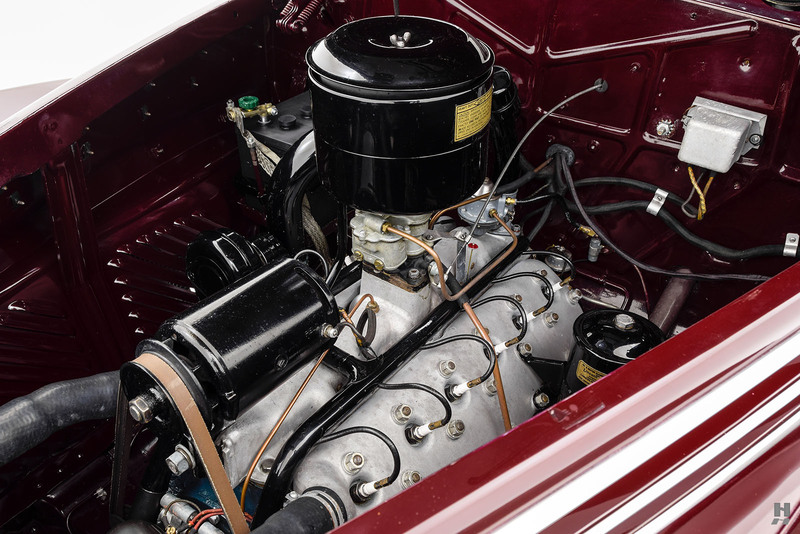 Thanks to that meticulous care, this stunning Zephyr Coupe remains genuinely outstanding, and as the restoration has mellowed slightly, the paint quality and beautifully sculpted body present in excellent condition. 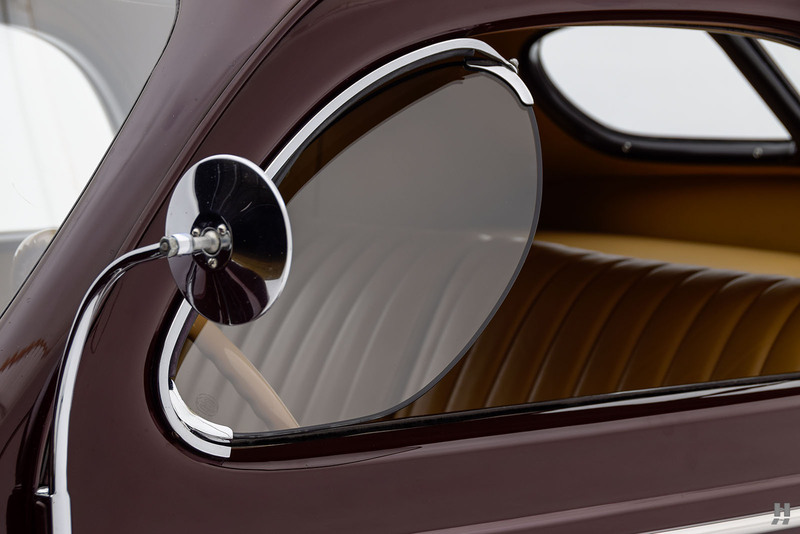 Exterior trim remains in lovely order as well, with high-quality plating and polishing on the subtle chrome trim. 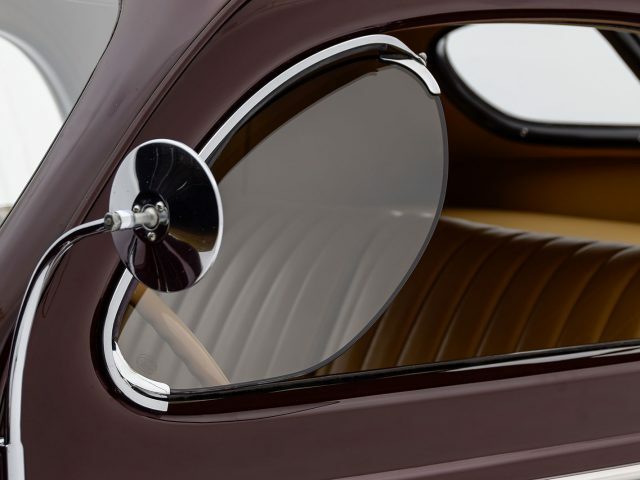 The body wears period correct “weeping willow” exterior mirrors and beautiful elliptical wind wings. 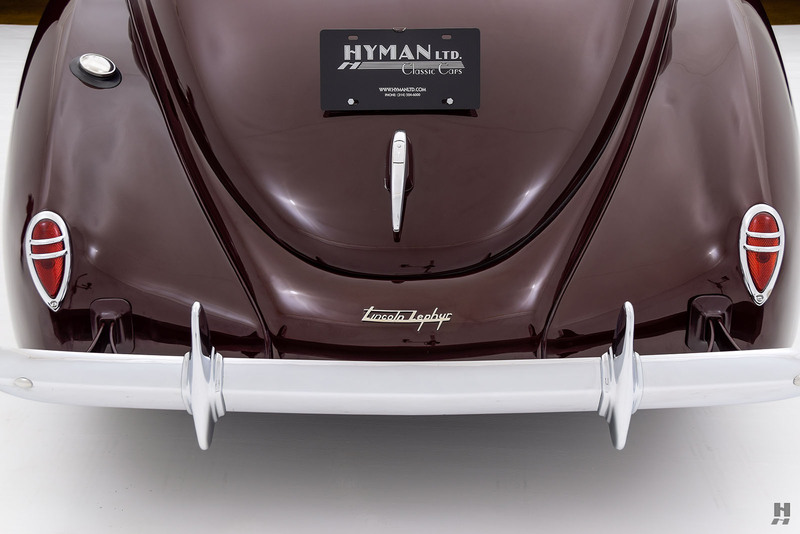 The detailing and quality of the restoration remain very impressive, the car proudly displaying its Lincoln Zephyr Owner’s Club Senior and LCOC Major Award badges. 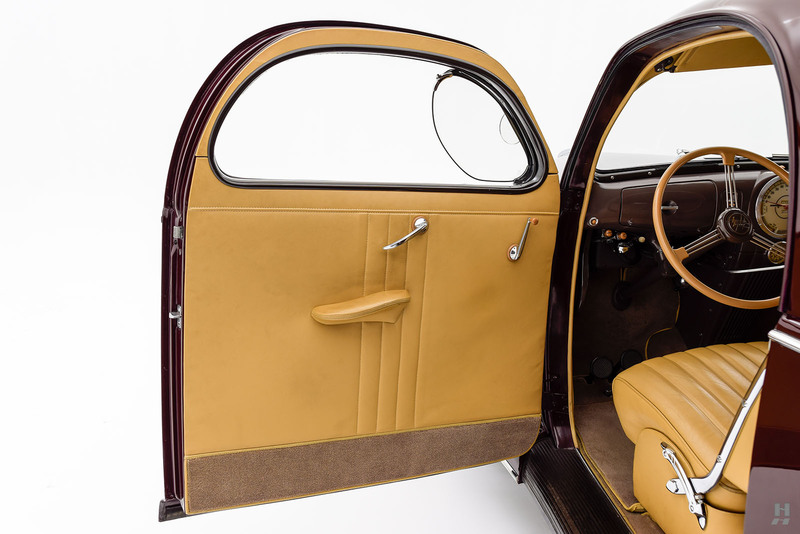 Occupants are treated to a finely restored interior with tan leather showing some very light character from use, but still appearing taut and remarkably fresh. 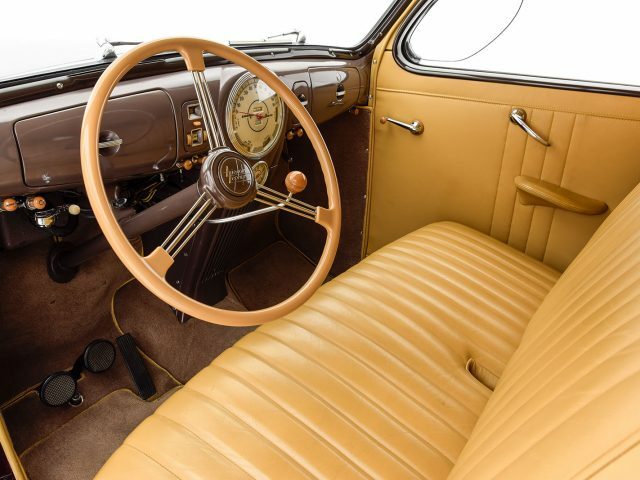 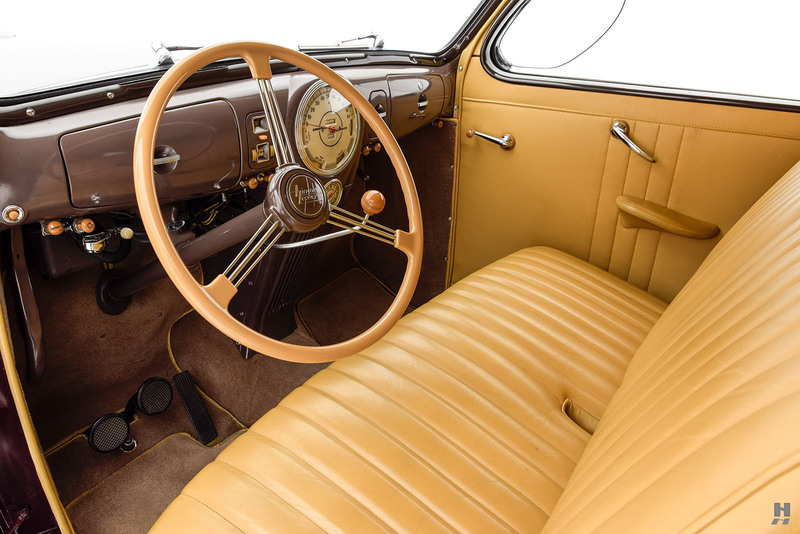 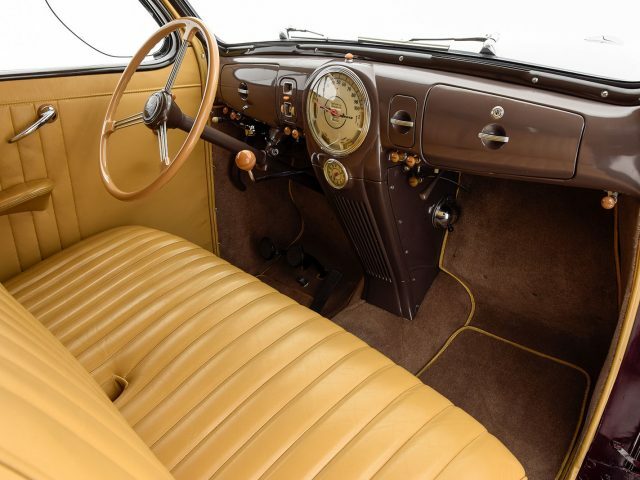 The dash and steering column wear correct brown paint, and the original switches, controls, radio, and heater remain intact. 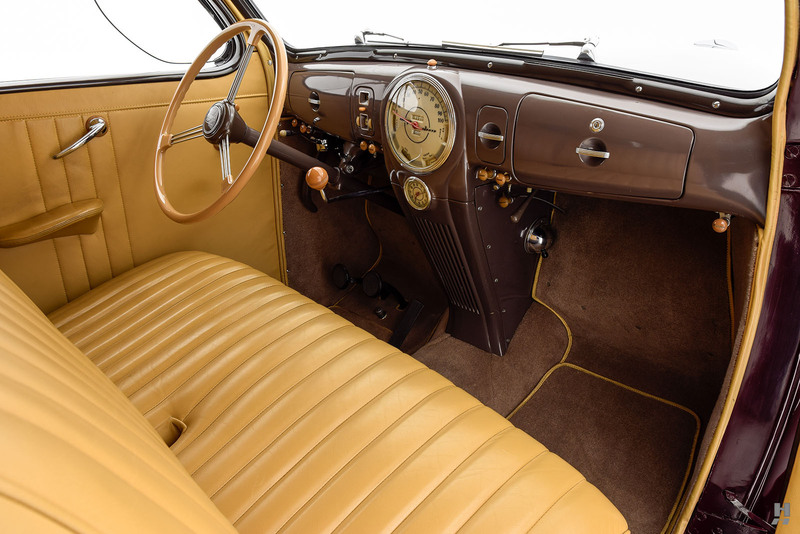 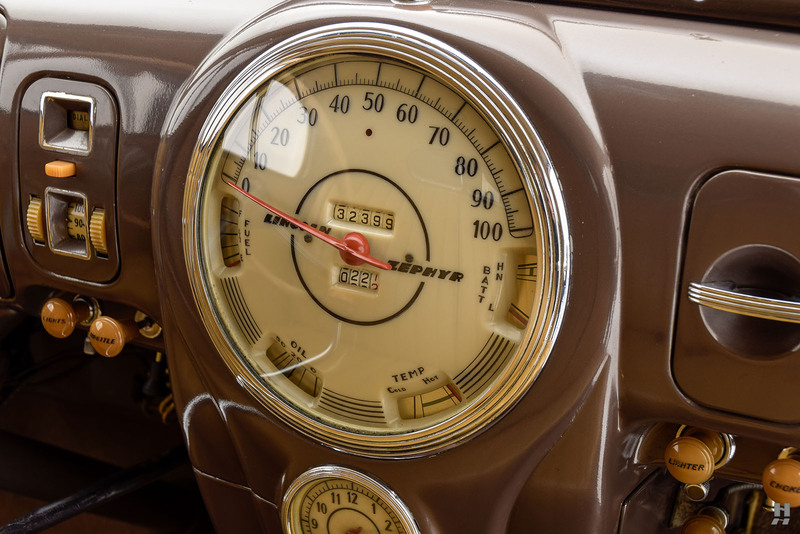 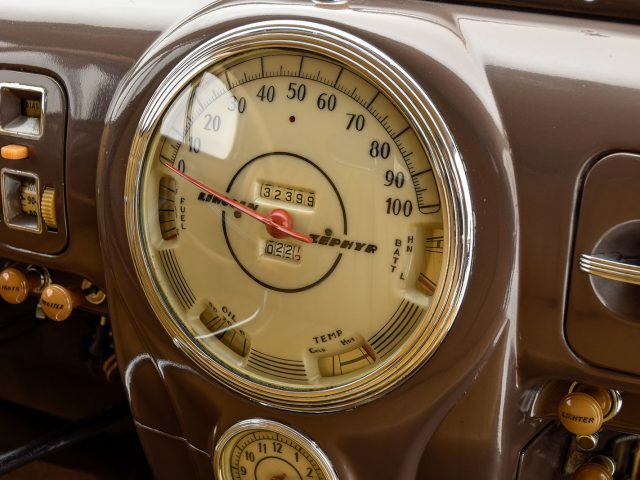 The hallmark of the 1939 Zephyr interior is the “waterfall” center stack, with the big instrument cluster sitting front and center; a lovely Deco touch that complements the exterior styling. 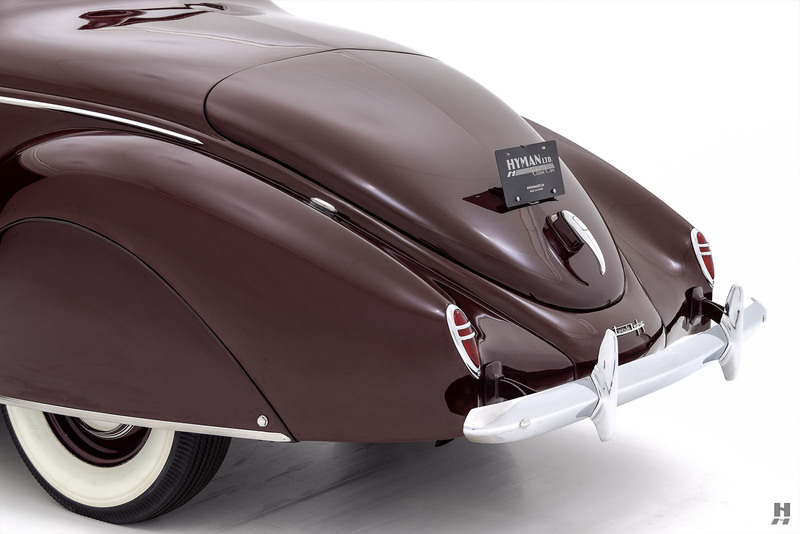 On the road, this Zephyr truly impresses. 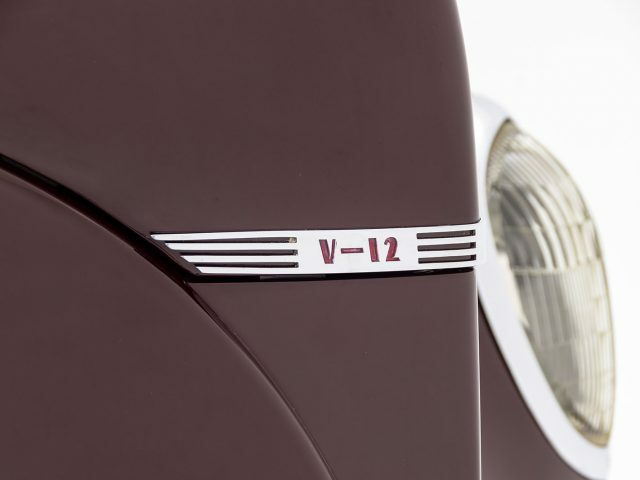 The 267 cubic inch V12 starts with ease and runs with its signature smoothness; barely perceptible at idle. 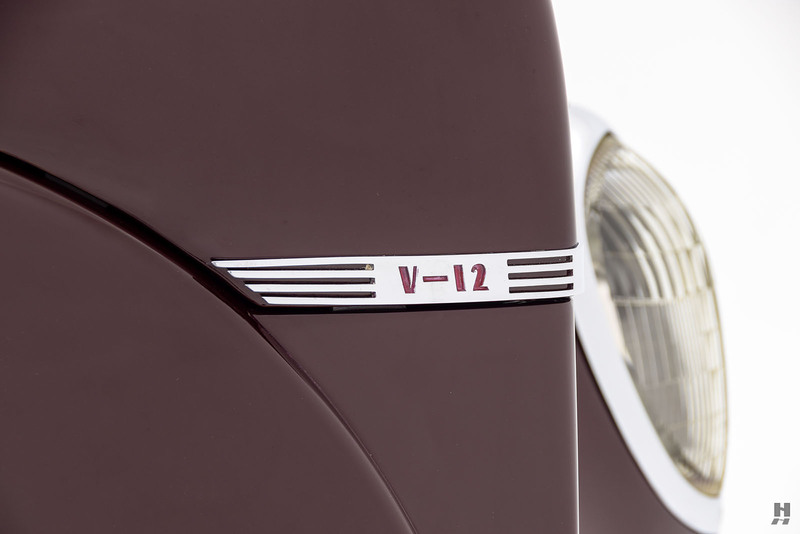 It drives beautifully as well, with relaxed performance and a well-sorted feel even at highway speeds. 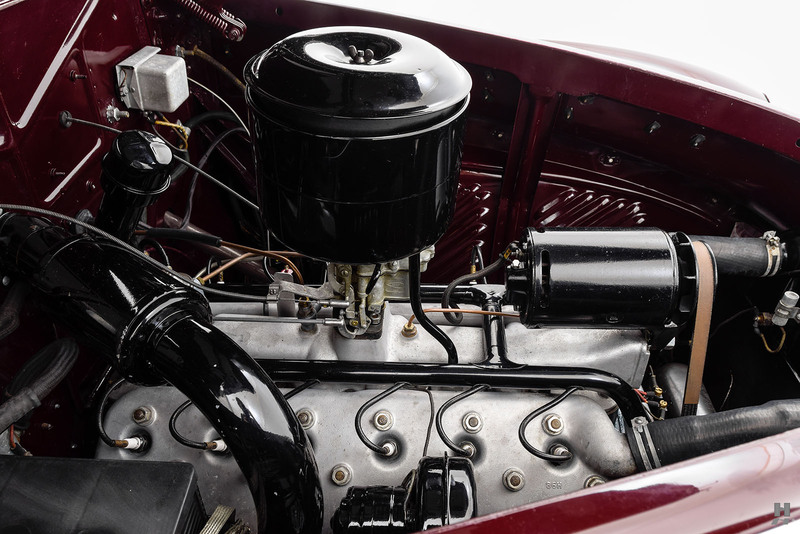 The engine is properly detailed with bare aluminum heads on the painted block, and good quality black paintwork on the ancillaries. 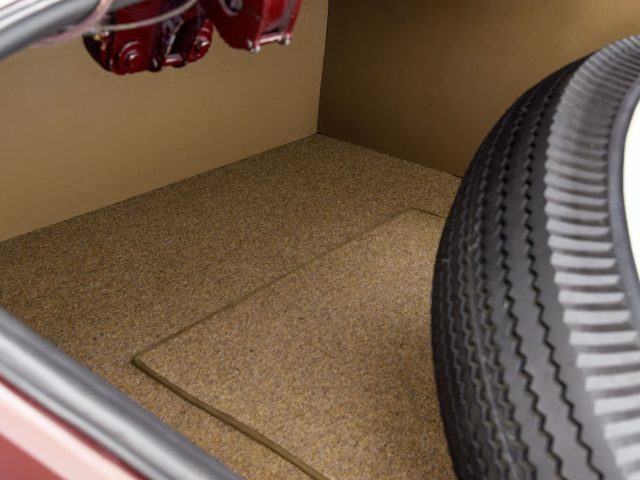 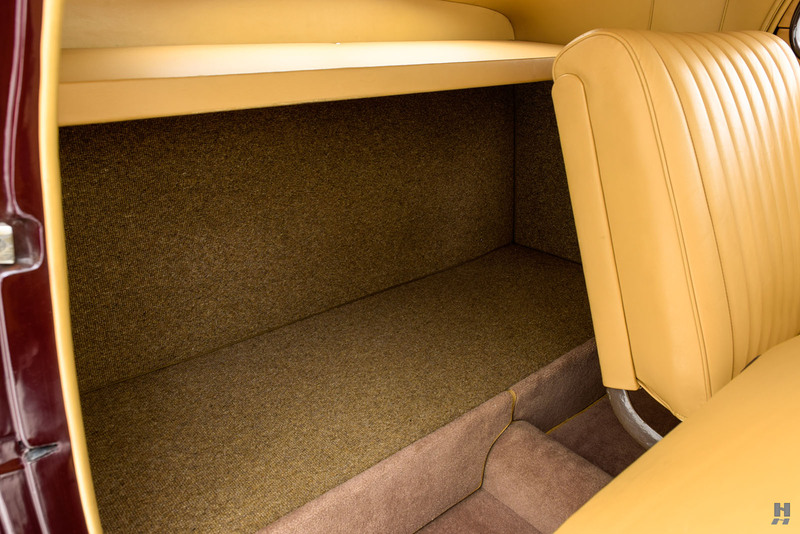 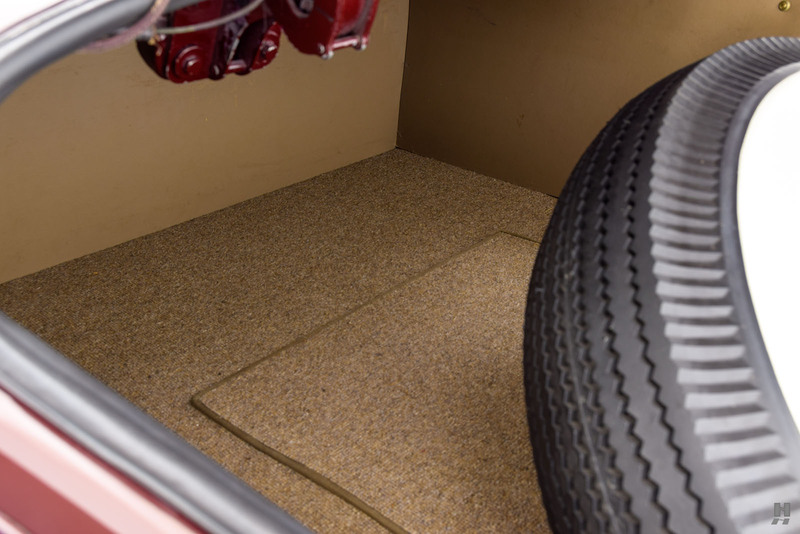 It is tidy and clean, showing some signs of light use that are consistent with the car’s matured restoration. 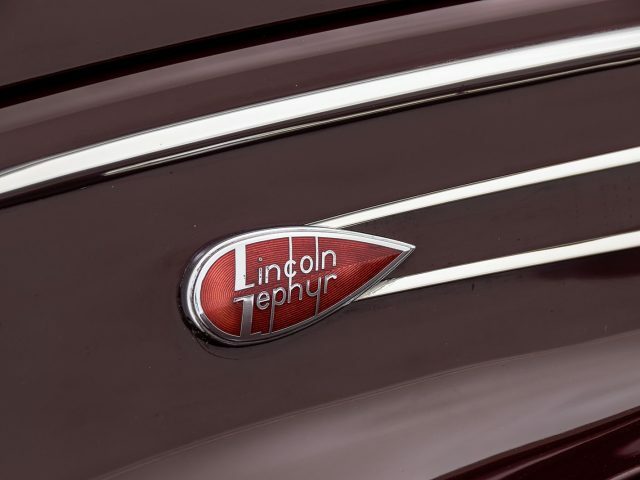 Of the six body styles offered in the Lincoln-Zephyr lineup, it is the three-window coupe that is favored by collectors for its elegance and purity of form. 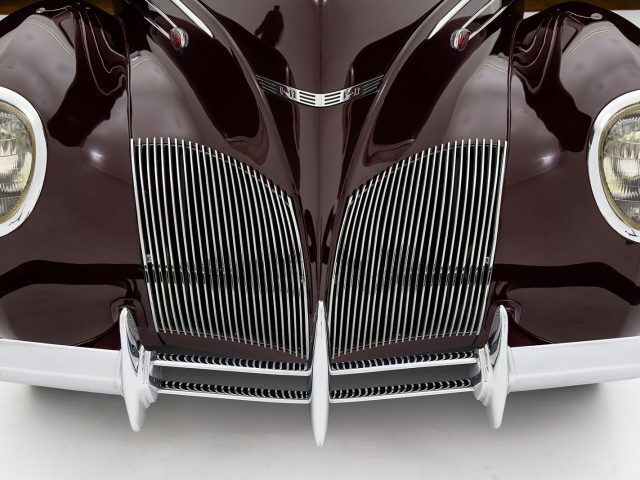 This Zephyr Coupe is beautifully presented, with outstanding detail and quality. 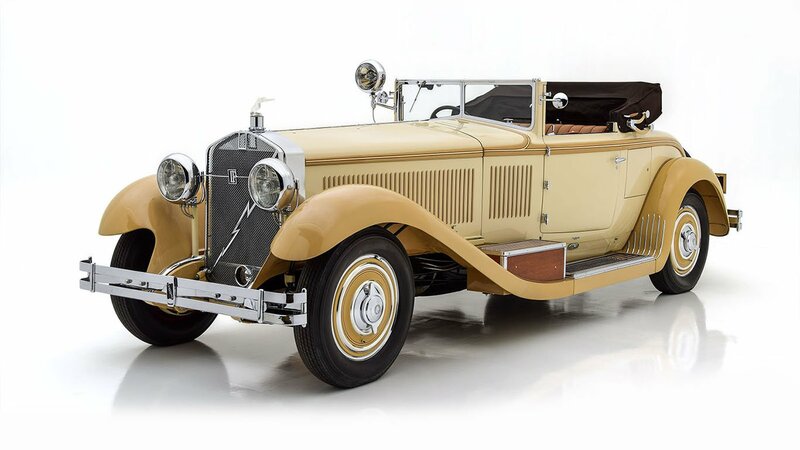 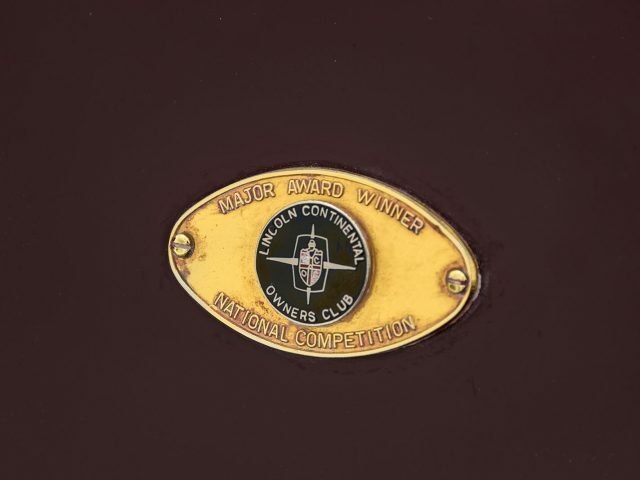 It is a wonderful example that has been cherished by each of its three owners, and it will surely reward the next keeper for many years to come.